Bluedio T3 Extra Bass Bluetooth Headphon... has been added to your Shopping Cart. You now have items in your Shopping Cart. Bluedio is a pioneer in wireless audio with more than a decade of experience in pursuit of excellence. Bluedio has driven the development of innovative electro-acoustic technologies like PPS 8 and PPS 12 (Physical Positioning surround sound effect), and in applying them in their world class audio products. With a focus on quality audio products, Bluedio has been expanding and diversifying to more than 150 countries, with a rapidly growing portfolio of more than 30 patents in acoustics. Combining innovative folding design and impressive sound quality, Bluedio T3 is the perfect companion for music lovers indoors and outdoors. 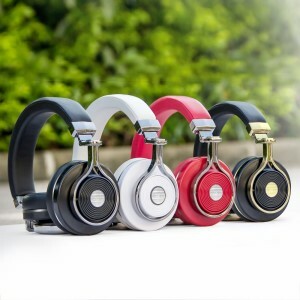 The clever Slide-to-Fit mechanism ensures that these headphones sit comfortably and securely, and the precision high-output (57mm) drivers and titanizing diaphragms provide powerful bass, dynamic sound reproduction. Outfitted with 57mm drivers, which utilize specially designed titanizing diaphragm to improve transient response and minimize sound distortion, the headphone delivers dynamic sound and powerful extra bass without compromising mids and highs. A wider soundstage makes you feel like you are in middle of a concert. You will feel the music flowing towards you from all the directions , and that is what the 3D Sound is engineered for. For movies and multi channel audio, this difference is significant. You can make and receive calls with the analog noise resistant silicone microphone on Bluedio T3 headphones. The microphone features a sensitivity of -42dB and high Signal to Noise Ratio, which means people on the other end can hear your voice with clarity. With an Alloy frame, T3 is strong and rugged while looking astonishingly beautiful. It resists scratches and dents, so you can take it for outdoor adventures with little worry. 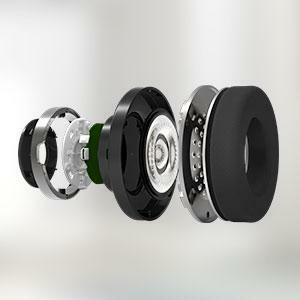 Bluedio T3 is a signature product built with premium alloy and polymer to last for a long time. 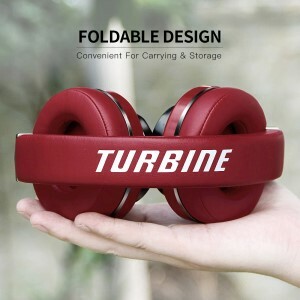 Collapsible headset design ensures you can carry it in folded form on your flights, in the provided carry bag. Convenient Volume up and down on the side can provide multi functionality as track selection buttons when you long-press the buttons. The design is ergonomic and you can skip songs or control volume without ever looking at the control pad on the headphones. 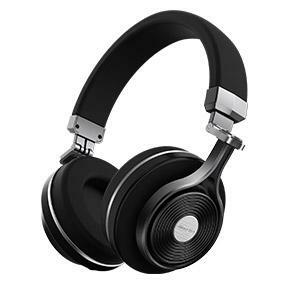 The Bluedio T3 Extra Bass Bluetooth Headphones On Ear with Mic, 57mm Driver Folding Wireless Headset, Black Earphones & Headsets is manufactured by Bluedio. 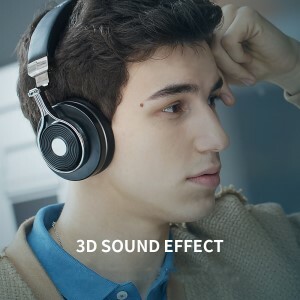 Buy the Bluedio T3 Extra Bass Bluetooth Headphones On Ear with Mic, 57mm Driver Folding Wireless Headset, Black at the best price in the United Arab Emirates. The purchased Bluedio T3 Extra Bass Bluetooth Headphones On Ear with Mic, 57mm Driver Folding Wireless Headset, Black can be delivered to United Arab Emirates. Buy Bluedio T3 Extra Bass Bluetooth Headphones On Ear with Mic, 57mm Driver Folding Wireless Headset, Black in United Arab Emirates of AED 169 and save 33%. 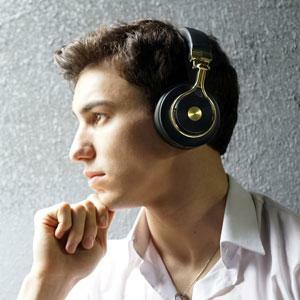 The best deals of Earphones & Headsets in United Arab Emirates. Large choice of Bluedio Earphones & Headsets available in stock.